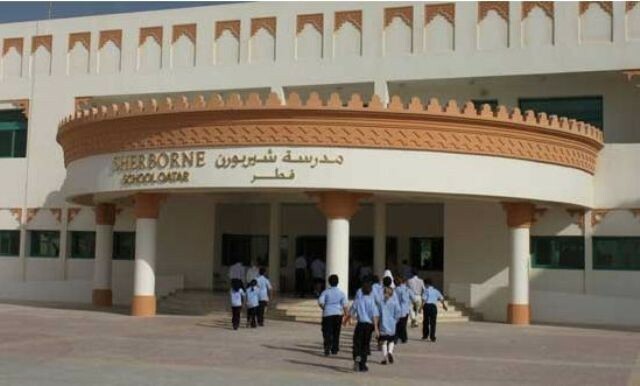 Sherborne Qatar Senior School and Sherborne Qatar Prep School are two British schools based in Doha, Qatar. They are the sister schools of the historical public school, Sherborne Schoo Our success story is one that we are keen to share and hope that you will want to bring your children to us, becoming part of an exciting adventure in a rapidly growing and culturally rich capital city. Qatar has much to offer and we are aware of our leading role in bringing a properly rounded British curriculum and British independent school education to Doha for the benefit not only of British families, but also for the benefit of Qatari families and those of other nationalities too. The Senior School offers an extensive educational programme. We have a strong academic focus and a well-established pastoral system that serves to support pupils’ needs. Much of what we do is firmly rooted in the principles and practices of Sherborne School, and we are fortunate to be able to benefit from and share in the experience of that great school. We are accredited for (I)GCSE and for (I)A Levels to AQA, Cambridge International Examinations (CIE), and Edexcel. We currently offer A Levels in: English Language; English Literature; Mathematics; Biology; Chemistry; Physics; Arabic; French; Spanish; Art; Drama; Business Studies; Economics; Geography; History; Psychology; ICT; Islamyat; Physical Education.Personal, Social and Health Education is delivered as part of the pastoral programme. I'm one of the few staff members who will not be leaving this summer but I don't think it's right that parents and new staff members are not told the truth about why so many good staff members have now left the school and why the school is in turmoil and not a nice place to teach and study in. The real reason why so many staff members have left is because of the bullying and deceitfulness conducted by the Lead teacher for Arabic and Islamic Studies. The Lead teacher for Arabic and Islamic Studies has been anonymously writing emails to the headteacher with bits of gossip in an attempt to get teachers sacked. He has written emails pretending to be an Al Thani parent in order to pressurise the headteacher to sack teachers he feels threatened by. The Lead teacher for Arabic and Islamic Studies has used the recently sacked IT teacher to hack into the school's email system and secret files in order to seek sensitive information on teachers. 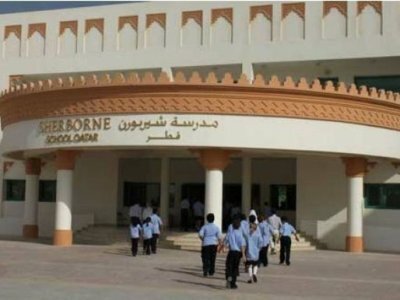 When confronted by a teacher about his deceitfulness, the Lead teacher for Arabic and Islamic Studies put his hand on the Quran and lied about hacking into the schools computer system. He only changed his story when he was confronted with absolute proof implicating him. What kind of Islamic teacher lies while touching the Quran? He even uses the Muslim kids to inform on their teachers for unislamic behaviour. The headteacher is unable to sack the Lead teacher for Arabic and Islamic Studies because he has the full support of the Head of Islamic Studies who has a direct line to the Sheikh who owns the school. The Sheikh seems not to care about what the truth is. This is just the tip of the iceberg. All this information is known by every teacher in the school. If I say more then I will be identified and punished even though I believe this Lead teacher for Arabic and Islamic Studies is causing a lot of harm to the school. Unfortunately all the teachers who have left have been told not to tell the truth otherwise they will not be given a reference by the school and will be hunted by the Lead teacher for Arabic and Islamic Studies. Unless you are happy to be constantly monitored by the Arabic department and sacked a ticket a moments notice then don't work here. Students are generally really nice and hard working. local students have poor motivation, poor attendance and produce little work and the school has little power to get rid of them. It is fine as a school, but if you have not worked in the middle-east before then make sure you know what you are getting yourself into.